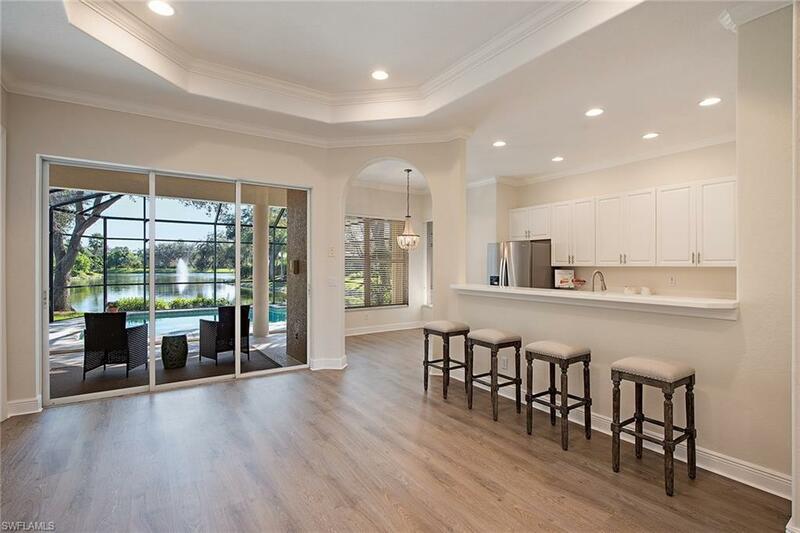 This charming, freshly updated pool home boasts a spectacular long lake fountain view nestled in the desirable community of Fountainhead at the Vineyards. The light-filled open floor plan in the living, dining and kitchen areas with sliders open to the lanai and pool area offers an ideal space to entertain. The split-floor plan situates the master suite apart from the two guest bedrooms and den. The master suite features two ample closets, en-suite bath with double sinks, walk-in shower, and soaking tub. 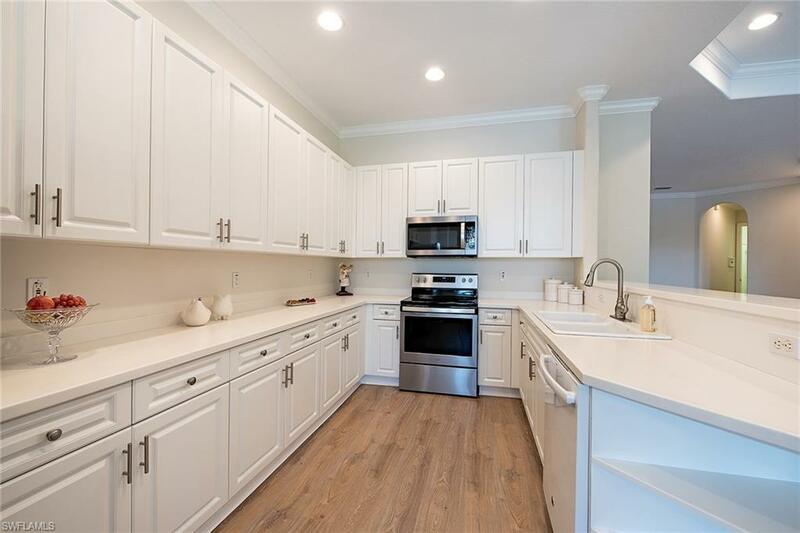 Additional features include crown molding, new Whirlpool appliances, new carpeting, new floors, two-car garage with shelving, and outdoor lanai area with heated pool. Vineyards Country Club is a private club with four lifestyle membership options. The Club offers two 18-hole golf courses, tennis, pickleball, pools, dining, active social calendar, and a brand new Wellness Center and Spa scheduled to open soon (membership optional). 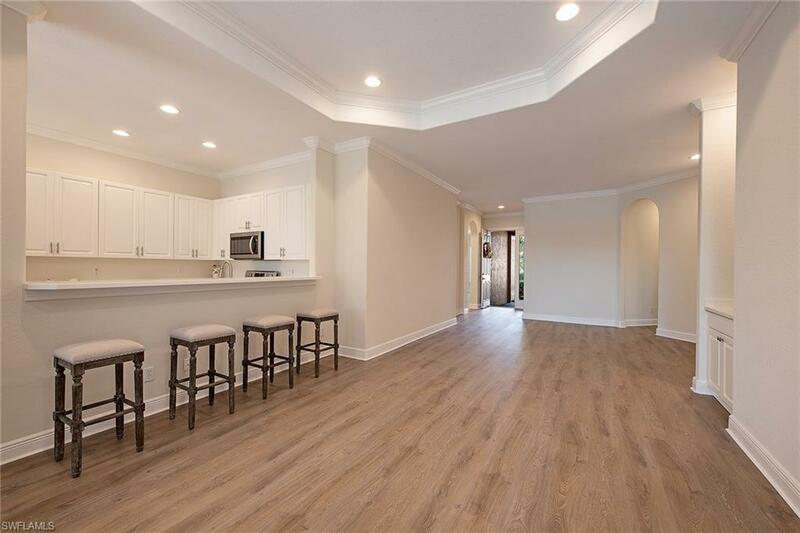 Convenient to restaurants, shopping, entertainment, community parks, beaches and all that Naples has to offer.